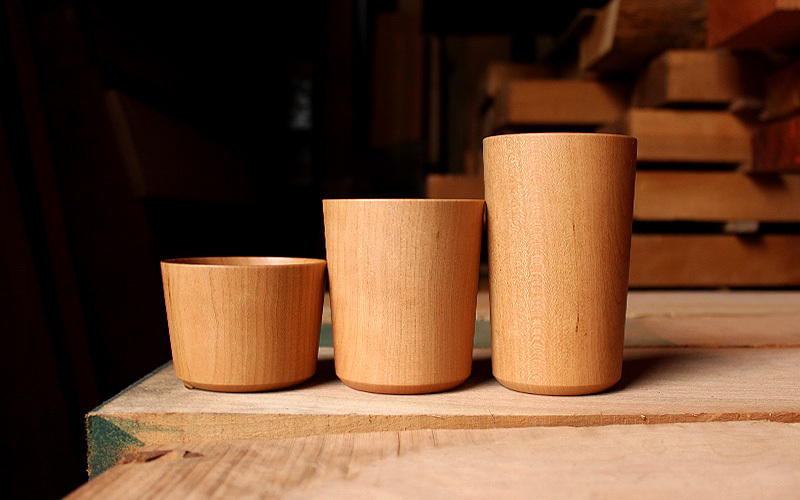 Carved out of pure chuck wood which is often used for cabinetwork, this cup is carefully finished with a thin wall. 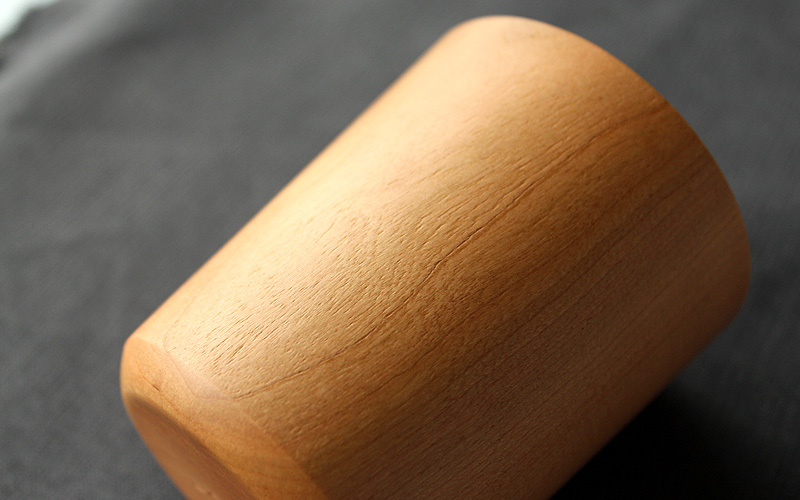 2mm thickness made by skilled turner achieves fine mouth-feel which helps you enjoy the delicate taste of a beverage. 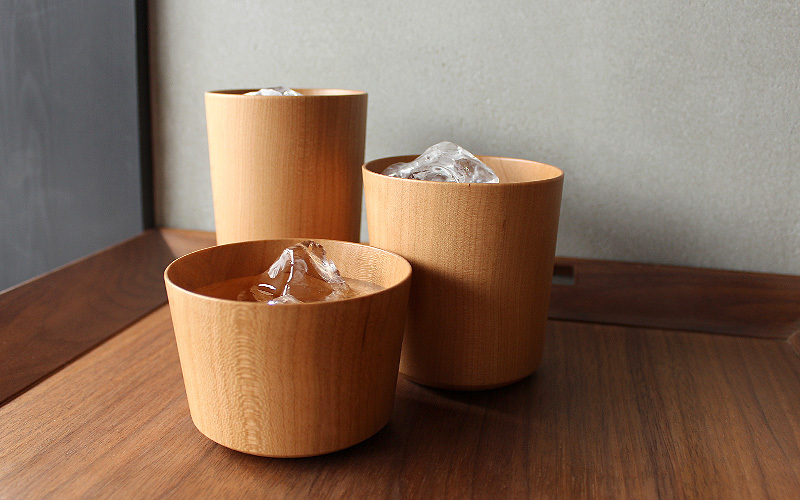 With the thermal conductivity being relatively low, dew condensation is less likely to happen on the wooden cup. ※UN-microwavable! 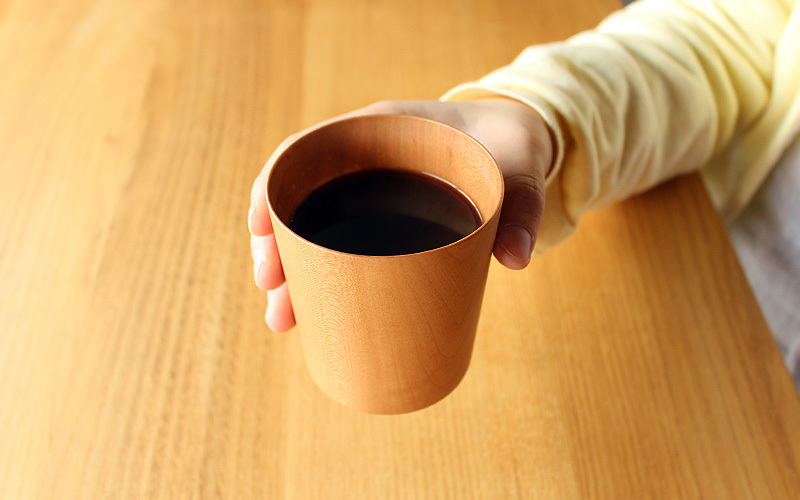 The wooden cup is NOT dishwasher-safe. Please avoid using dish dryer as well.